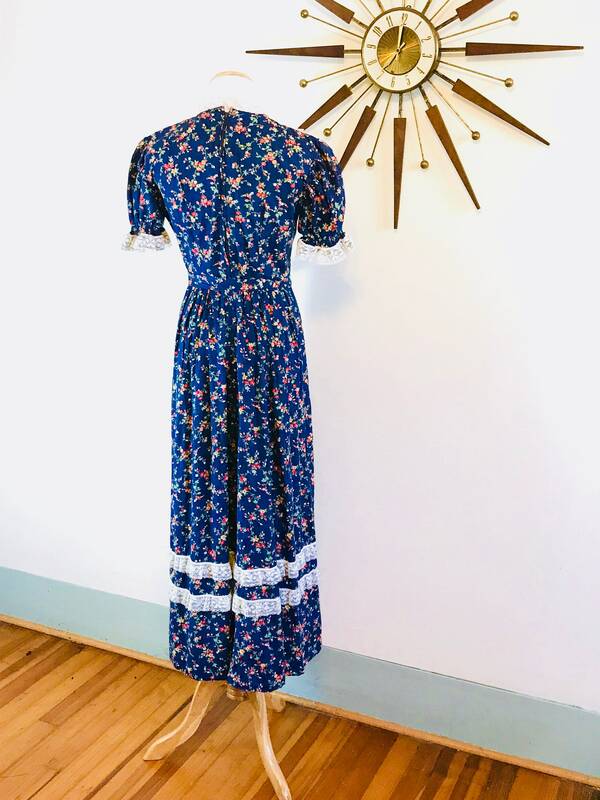 This is such a beautiful 1970s Prairie Dress! 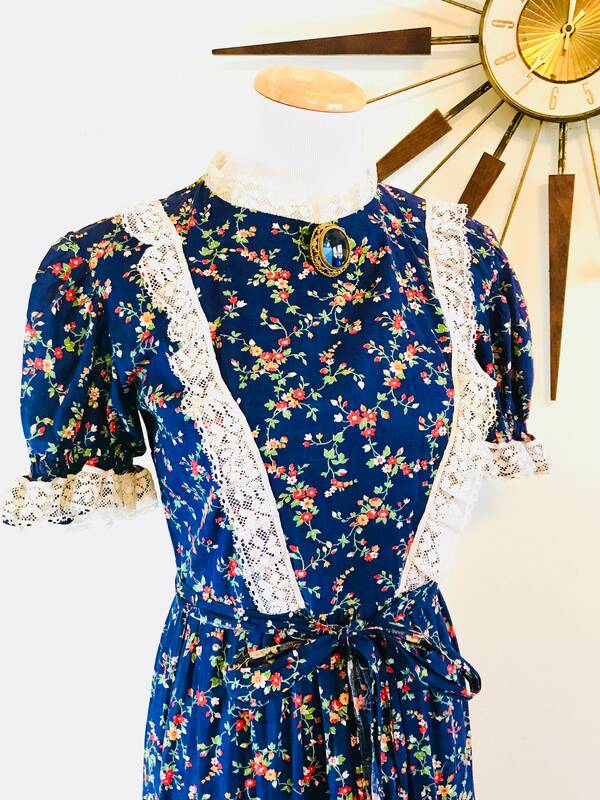 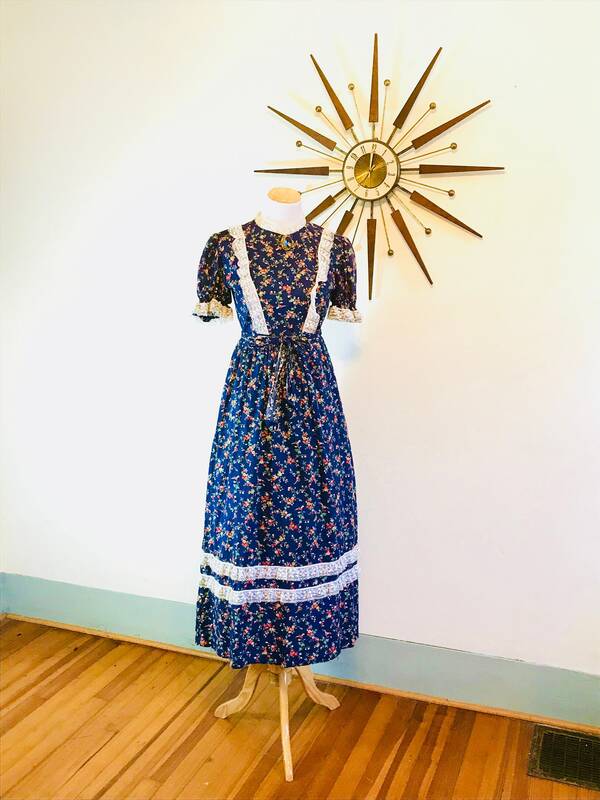 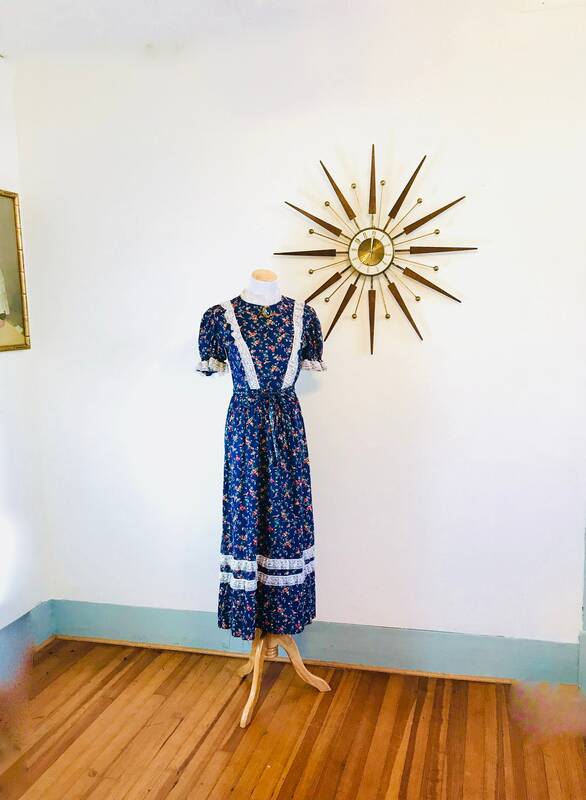 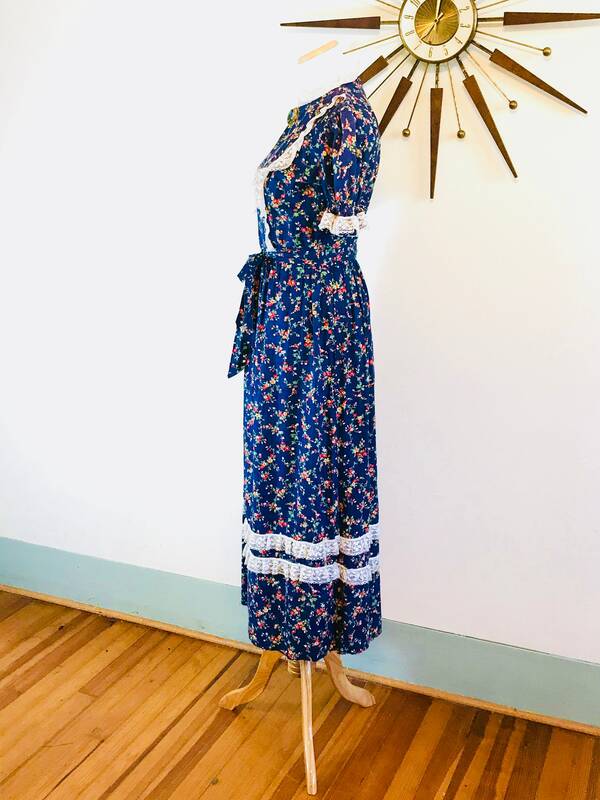 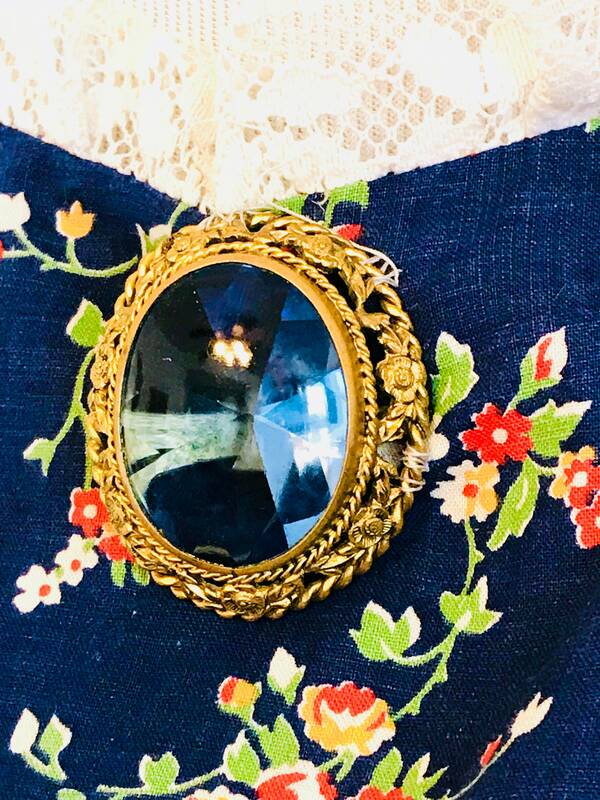 This boho maxi dress has the sweetest floral navy blue cotton This vintage pioneer style dress has short puff sleeves that have elastic in them at the armholes. 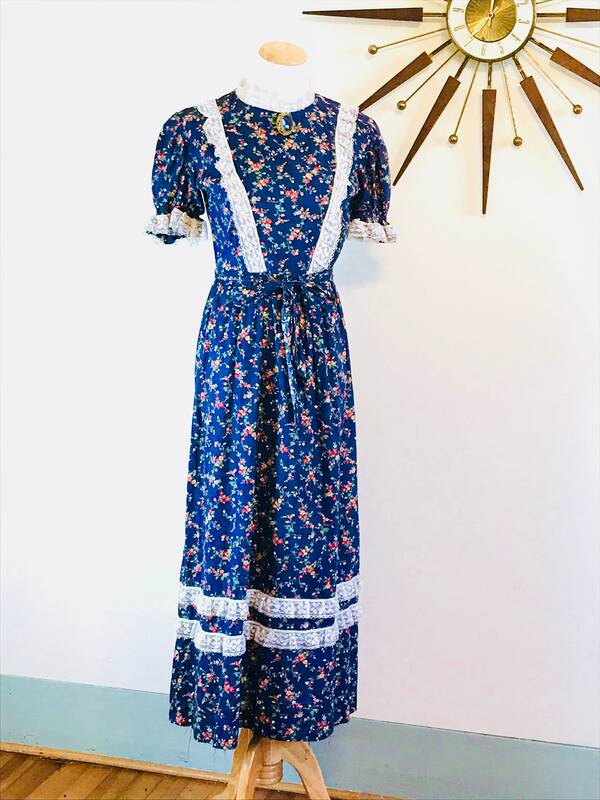 This 70s cotton and lace hippie maxi dress also has a little cotton belt and an amazing, big blue brooch at the neck! 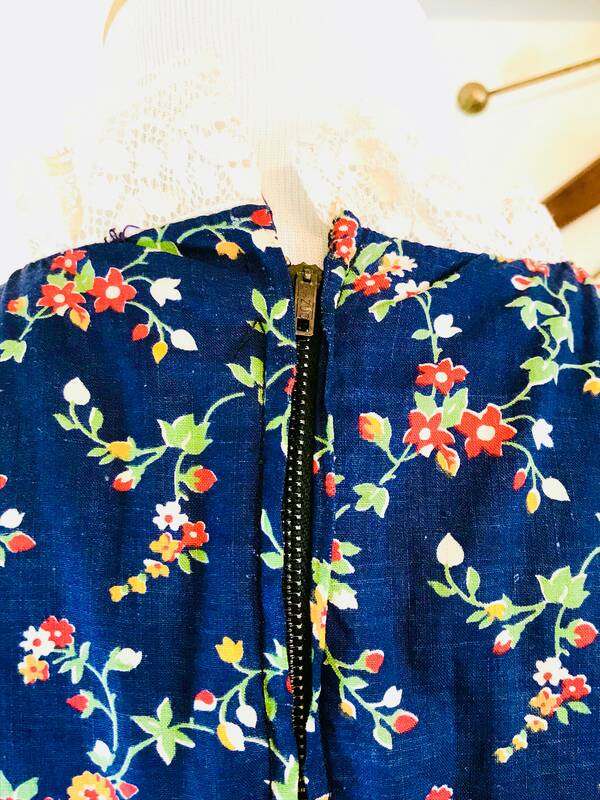 Material: Cotton, Lace, Metal zipper. 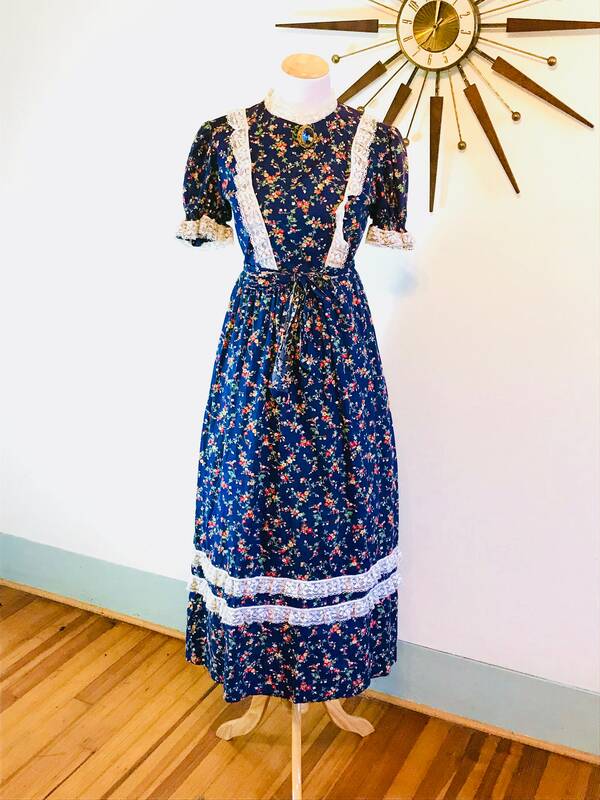 CONDITION: Very good! 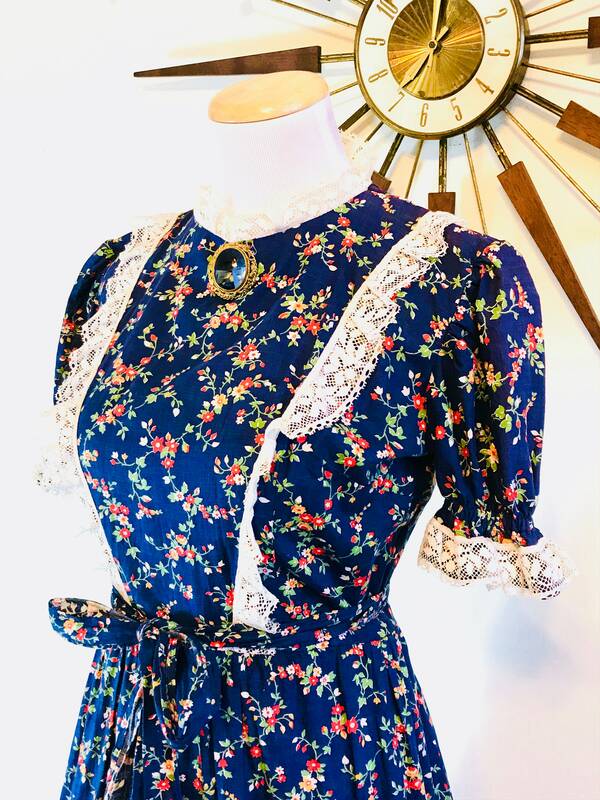 There is some discoloration on the inside of the armpits, some frayed seams and some loose lace.